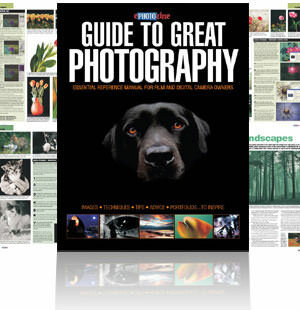 ePHOTOzine's Guide To Great Photography is now available as a PDF. The book, which was first available as hard and softback copies, quickly sold out but due to popular demand, ePHOTOzine has decided to make the book available as a PDF. For £9.99 you'll have a book that's crammed full of useful tips to help you take better photographs, along with step-by-step guides covering advanced photographic techniques. There's also pages and pages of ePz member images for you to admire as well as a portfolio section which takes a closer look at certain members of the site. ePHOTOzine's Guide To Great Photography is an essential reference for anybody with an interest in photography. Visit ePHOTOzine's shop to purchase your copy today.